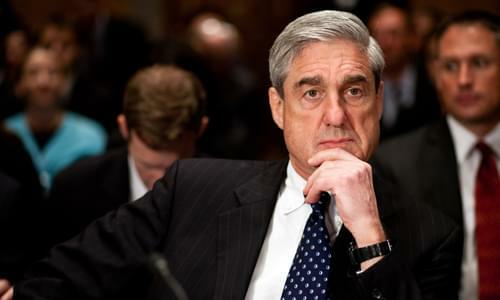 On Friday’s Mark Levin Show, Robert Mueller has President Trump’s family in his crosshairs and they’ve done nothing to deserve this treatment. It’s not a crime for Trump to be president, for Ivanka and Jared Kushner to be in the White House, for Melania to get a green card, or to do business in Russia, yet Trump’s family is attacked day in and day out. The things said about Trump and his family are unparalleled in history and has been a setup since day 1. Also, tariffs are a tax on the American people and they’re the least conservative thing imaginable. The United States produces 70% of the steel used in the country and China ranks 11th in steel importation; there’s no defense needs to impose tariffs to control the steel industry. We have a history of steel tariffs and they’ve all been counterproductive, resulting in Americans losing jobs and paying more for automobiles, cans of soup, and anything that uses steel. In addition, tariffs push away our closes trade partners like Canada and Mexico and force them to trade elsewhere, like with China. Tariffs won’t make America great again; they will just make America weak. Later, Chuck Schumer is voting against a judge nomination because he’s white. The Democrat party is obsessed with race and always has been. There’s something truly sick about Schumer’s progressive ideology and he should be expelled from the Senate. Mark Levin: ‘Congress needs to find out’ what these judges are up to! Trump Threatens To Raise Steel And Aluminum Tariffs. Here Are Three Reasons That’s An AWFUL Idea.